This is the most detailed ever picture created of the aftermath of the birth of the universe. The full size image is 50 million pixels and has been taken by the European Space Agency’s Planck space telescope. 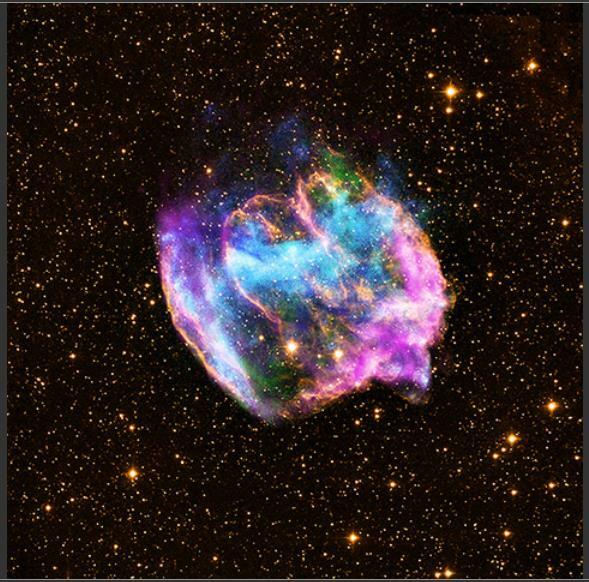 The most recent estimate is that the universe is 13.82 billion years old – and this picture is a mere 380,000 after the Big Bang – in effect this picture is looking back in time by over 13.8 billion years. 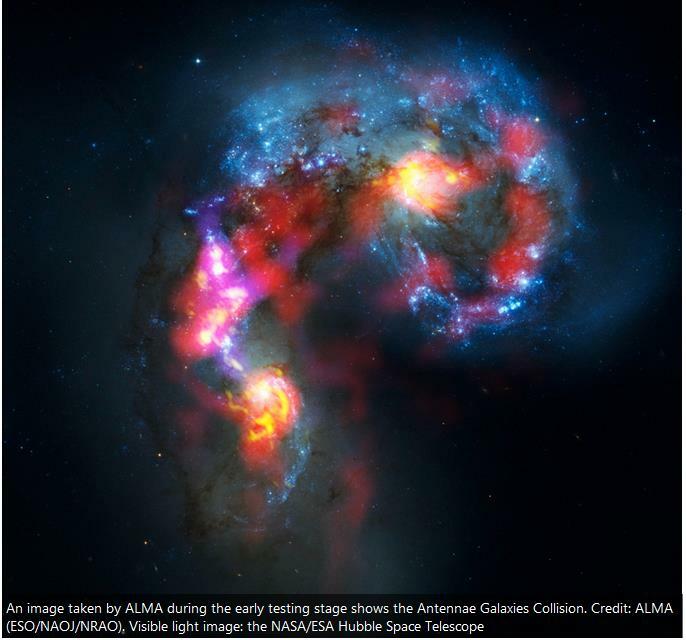 The ALMA telescope took this spectacular image of galaxies colliding. ALMA stands for Atacama Large Millimeter Array. It is the world’s biggest ground based astronomy project – comprised of 66 antenna in a circular pattern with 5 mile radius in Chile. 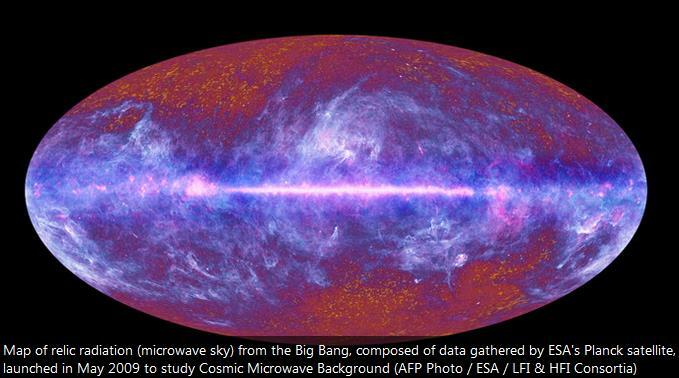 It has yet to be fully finished, but when it is scientists hope that it will bring ever more clarity and detail to the investigation of the birth of the universe. So, what has this got to do with maths? Well, astronomy is applied mathematics – using maths to understand some of the most fundamental questions of all – how did the universe begin and what is our place in it?